Since 2007, we have enjoyed greeting more than one thousand hi-fi enthusiasts and music lovers from around the UK and overseas. We treat our clients in the same way we like to be treated. We are a pressure-free zone with extremely high client retention and regularly welcome new visitors and clients to the house. 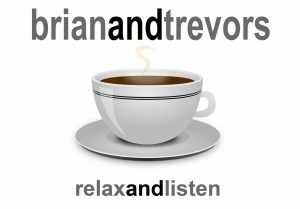 We are a true Audio Consultancy offering fantastic customer service and personal appointments for hi-fi demonstrations, advice, sales, installation, service and aftercare. With more than forty years audio knowledge and industry experience, our standards and expertise are second to none. Talk to us for the best advice. Make an appointment with us for better sound and hear the difference. Selekt DSM network music player can grow from a source component and preamplifier all the way to a fully integrated solution with power amps and Katalyst DAC. 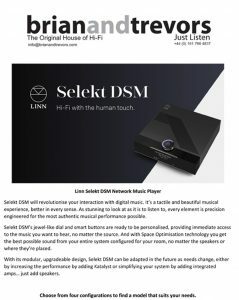 Linn have been incredibly smart with the new Selekt DSM network player, providing an upgradeable and open-ended platform. We demonstrated the new Linn Space Optimisation software now available for all Linn DS and DSM players. Our Selekt event on November 6th showcased this new category of Linn product, its features and configuration options. As stunning to look at as it is to listen to, every Selekt element is precision engineered for the most authentic musical performance possible. 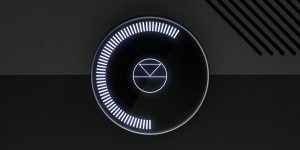 Selekt DSM’s jewel-like dial and smart buttons are ready to be personalised, giving immediate access to the music you want to hear, no matter the source. Choose from four Selekt models and three upgradeable configurations. 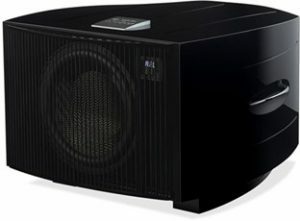 We are huge fans of stereo systems augmented with one or more subwoofers. The results are not as you might expect since adding sub-bass reinforcement affects the entire frequency range, underpinning a solid sonic sub-bass foundation for a palpably realistic presentation of music, improving sound staging, height, width and depth. 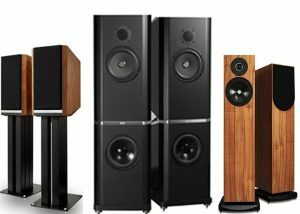 We have demonstrated sub-bass loudspeakers from the REL range to many of our clients and we are pleased that the results speak for themselves. Book a dem with us and transform your system! We recently installed a pair of these beasts in our main listening room! The REL No 25 is REL’s top model and costs £6,500. Configured for each stereo channel with our Linn Klimax 350 and Kudos Titan 808 Exakt Systems with Linn Exakt Sub. No 25 delivers completely natural and open sub-bass with ease through their long throw carbon fibre driver. No. 25 combines the power of an ultra-reliable 1,000 watt amplifier, with a lightweight and perfectly balanced carbon fibre driver. This design utilises zero compression, resulting in stunning dynamics and bass extension. Sugden Audio was founded by James Edward Sugden in 1967, a division of Research Electronics. Research Electronics manufactured scientific instruments and test equipment, designed by James Sugden, for Universities. The famous A21 was the first Sugden amplifier and first production pure Class A transistor amplifier which became a great success. Almost all the manufacturing processes were carried out at the new Sugden factory. These included cases, building circuit boards and final assembly of each item all by hand. 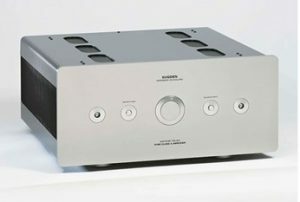 The Cleckheaton factory saw the development of many new products including the A48 integrated amplifier and C51/P51 pre and power amplifier. There were also three analogue radio tuners and a full set of audio test equipment. Sugden Audio products are designed and built in their factory in Heckmondwike in Yorkshire, a short distance from where it all began. Sugden still manufacture in the same tradition with each Sugden product being handmade by a single highly skilled team member. Sugden remains in control of the full manufacturing process from design to despatch, they operate their own custom engineering shop and assembly, screen printing and a cabinet making facility or their loudspeakers. 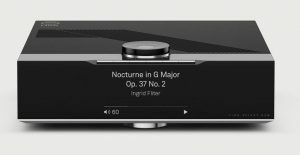 If you are interested in Sugden Pure Class A sound quality, book a demonstration with us. 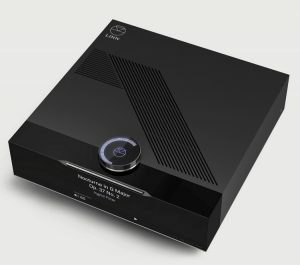 Since then, Kudos has evolved into one of the UK’s fastest-growing loudspeaker companies in recent years and has won numerous awards along with a worldwide following of audiophiles and music lovers. 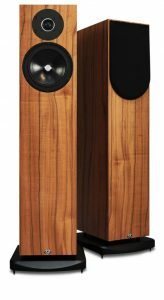 Kudos loudspeakers have established themselves as some of the best-sounding available, with each model setting a standard at its respective price point. We have the Kudos range on demonstration in traditional passive systems as well as configured with Linn Exakt. 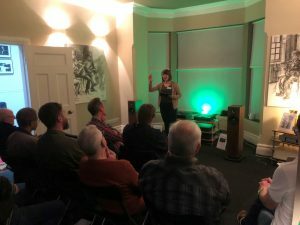 Comparative demonstration – from source to speaker is the fundamental and most cost-effective way to audition and invest in quality audio components, upgrades and systems, as we have advised, demonstrated and installed audio components and systems for hundreds of our clients since 2007. We are here to help with any questions you have about acquiring or improving your music system. Do not hesitate to contact us to book a demonstration, or to call us for a chat. You can register to receive our newsletter here.